Gravel and tarmac rallies present drivers and cars with very different challenges and require very different skillsets. But rallying on snow and ice is a different proposition altogether, bring more drama and uncertainty while at the same time rewarding those who master the conditions. This is no doubt why rallying such a huge sport in Scandinavia. It is no coincidence that there has been a disproportionately high number of world-class drivers emerging from this part of the world. But while Finland and Norway have churned out multiple champions, their neighbour Sweden have enjoyed less success. Sure, it was a Swede, Björn Waldegård, who won the inaugural World Rally Championship (WRC) back in 1979 and Stig Blomqvist repeated the feat in 1984. But since then, ŠKODA’s own Pontus Tidemand’s victory in last year’s WRC 2 championship is the best return a Swedish driver has enjoyed. But that’s not to say that the Swedish Rally Championship has become any less challenging or competitive. It begins with two tough winter rallies, then resumes after a three-month hiatus for four rounds on some of the toughest forest gravel tracks to be found anywhere on earth. Plenty of manufacturers and drivers are keen to test themselves in the Swedish conditions and any driver who wins there has earned the right to be called a champion. 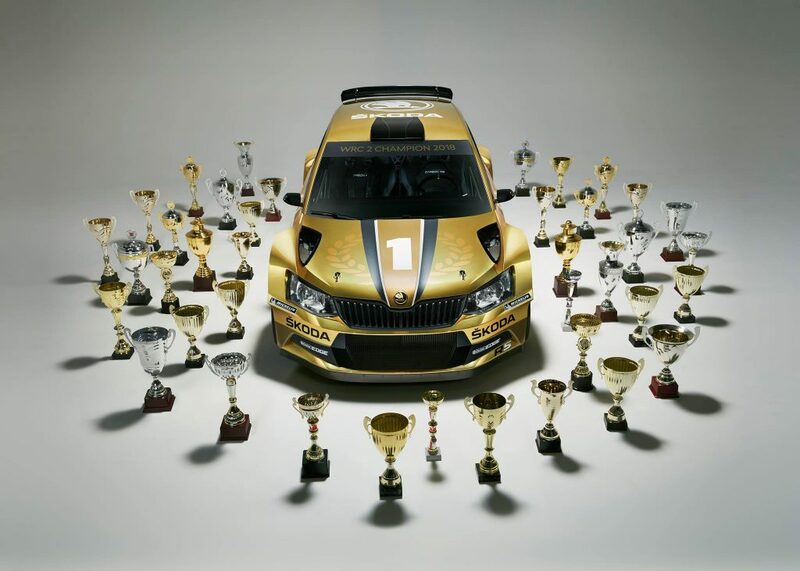 Which is why ŠKODA is so proud of the FABIA R5’s achievements in Sweden this season. 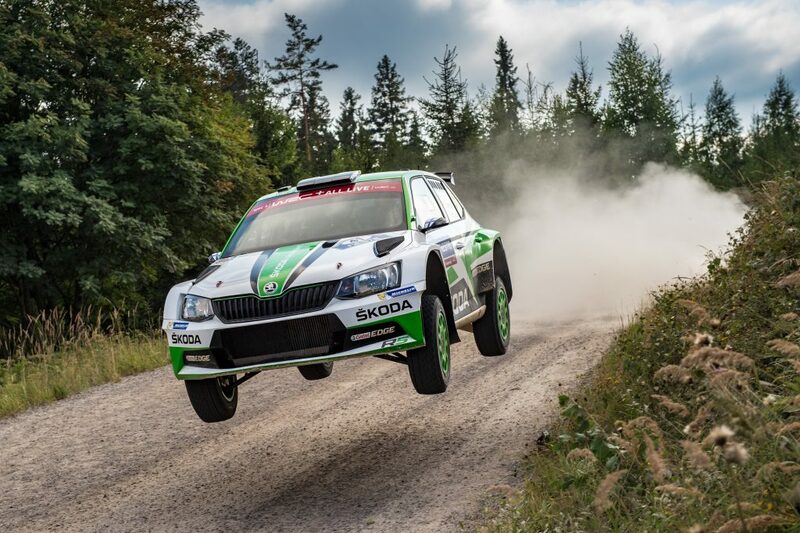 Because ŠKODA drivers have dominated the 2018 Swedish Rally Championship and in Martin Berglund, an experienced driver starting his first season in the FABIA R5, they have a perfect illustration of how the FABIA R5 can help to elevate a good driver into a great one. Berglund began his rallying career in 2005 and aside from three rallies in the UK, has driven his entire career in his native Sweden. During that time he has claimed a handful of victories, a few more podium finishes, but endured frustrating unreliability whether driving a Volkswagen Golf, a Mitsubishi Lancer Evo IX, or a Mitsubishi Mirage R5. This season, driving for his own Berglund Racing team, and with long-time co-driver Joakim Gevert once again by his side, Berglund not only enjoyed the most consistent season of his career but by some distance the most successful one too. But at the opening round of the year, the Rally Vännäs, few would have predicted what was to come. Berglund had won his two warm-up events but had to settle for third place at this winter rally as Fredrik Åhlin won in his FABIA R5 on his return to Sweden after two years rallying in Britain. The runners-up spot went to another FABIA R5 driver, Mattias Adielsson, which meant that Berglund had to settle for completing the all- ŠKODA podium with a third-place finish, just five seconds further back. Things went even worse for him in the next round, the Östersund Winter Rally. In an event hampered by heavy snowfall, Berglund was one of a number of retirees as Adielsson claimed his first victory of the season, 11.4 seconds ahead of another FABIA R5 driver Jörgen Jonasson. 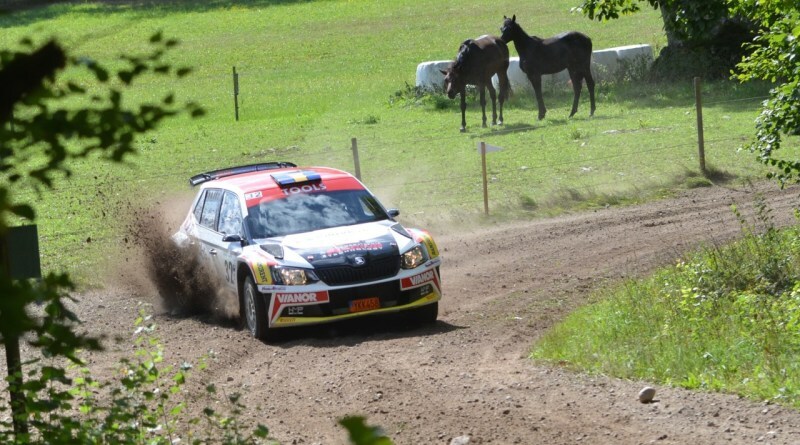 This time, it was Fredrik Åhlin who ensured the podium was filled with FABIA R5s once more. 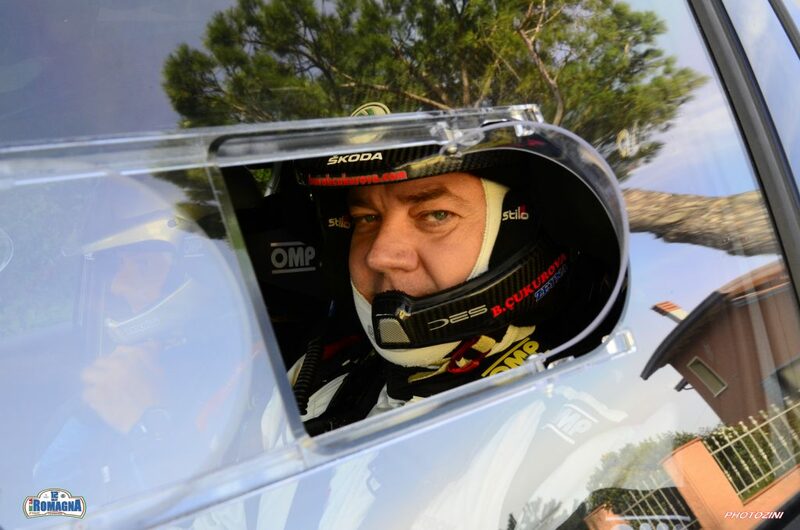 Berglund had three months to recover from that disappointment and returned refreshed and revitalized for the third round of the championship, the South Swedish Rally. He drove confidently, but still had to settle for the runners-up spot, 1 minute and 19 seconds behind the winner Åhlin. He did however pip Johan Holmberg to 2nd spot by just 0.4 seconds. At this stage, Åhlin looked to be in control of the destination of the title. But his decision to switch his attention to the European Rally Championship meant that would be his final Swedish rally of the season. And it left the title race wide open. It would be Berglund who took advantage. In the fourth round of the championship, the Rally Askersund, he would claim his first win of the season. 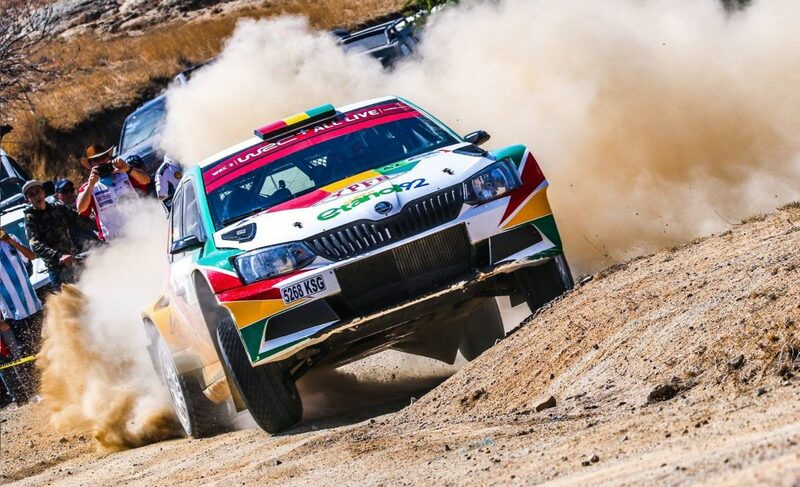 He didn’t have things entirely his own way but dug deep to edge out Holmberg by 10.5 seconds with the talented Russian driver Nikolay Gryazin, also in a FABIA R5, taking third place. Meanwhile, retirement hit Mattias Adielsson title challenge for the second event running. Next up was the EC Snapphanerallyt, where Holmberg and Berglund would see their roles reversed. This time it was Berglund who missed out on victory, with Holmberg winning by just 17.3 seconds. Adielsson was back in the points in third place, but the result meant the Swedish rally championship title would go down to the final round, the East Sweden Rally. This prestigious event saw a whole host of FABIA R5s taking part, including ŠKODA Motorsport’s own Swedish driver of Pontus Tidemand. However, his accident and retirement on stage 4 left the path clear for either Berglund or Holmberg to take the headlines. And it was Martin Berglund who held his nerve. He won by a margin of 10.3 seconds from Mattias Adielsson, with Berglund in third place, some 52.2 seconds down the road. A total of eight FABIA R5s would finish in the top ten. With a second victory of the season, in addition to two runners-up finishes and a third place, it was Martin Berglund who won his first ever Swedish Rally Championship title. At the start of the season, few would have looked back at Berglund’s track record and thought he would be a contender. After a different time in the winter rallies, not many people would have changed their minds. But two wins and two second places on Sweden’s four immensely testing gravel rallies is a level of performance which speaks for itself. Martin Berglund is a deserving winner of the Swedish title. What is it that has made the difference for Berglund this year? It is hard to look too far beyond the immense ŠKODA FABIA R5.